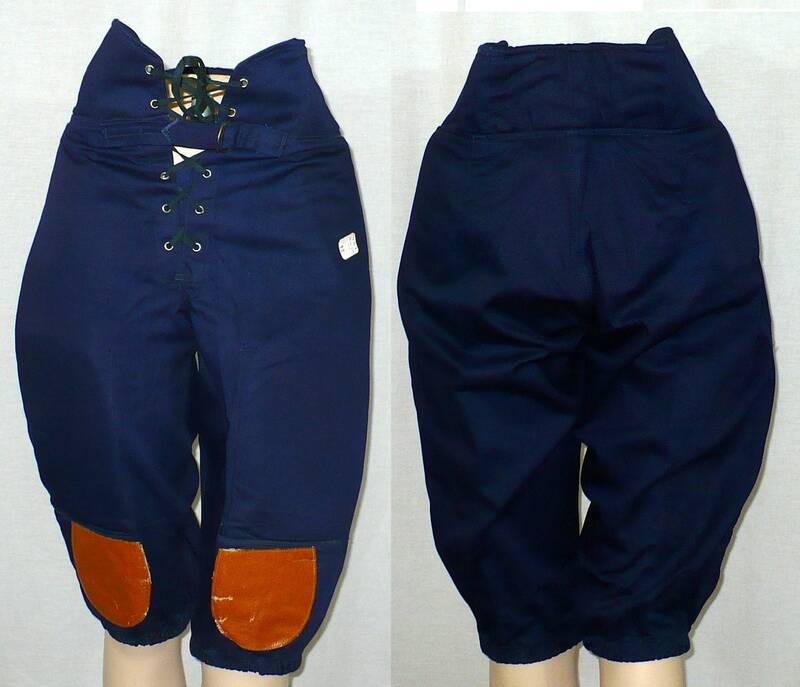 Navy blue twill knickers have a hard oval panel at each side of waist and removable hard pad inserts at the thighs. 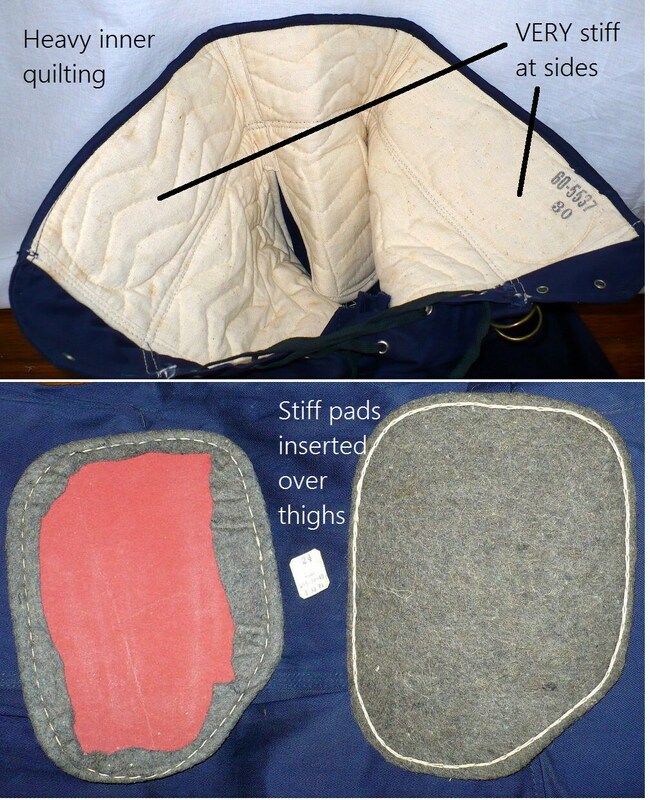 There is heavy interior quilting at the waist and hips, as well as under the textured faux leather pads at the knees. Encased elastic at hem still has it's stretch. 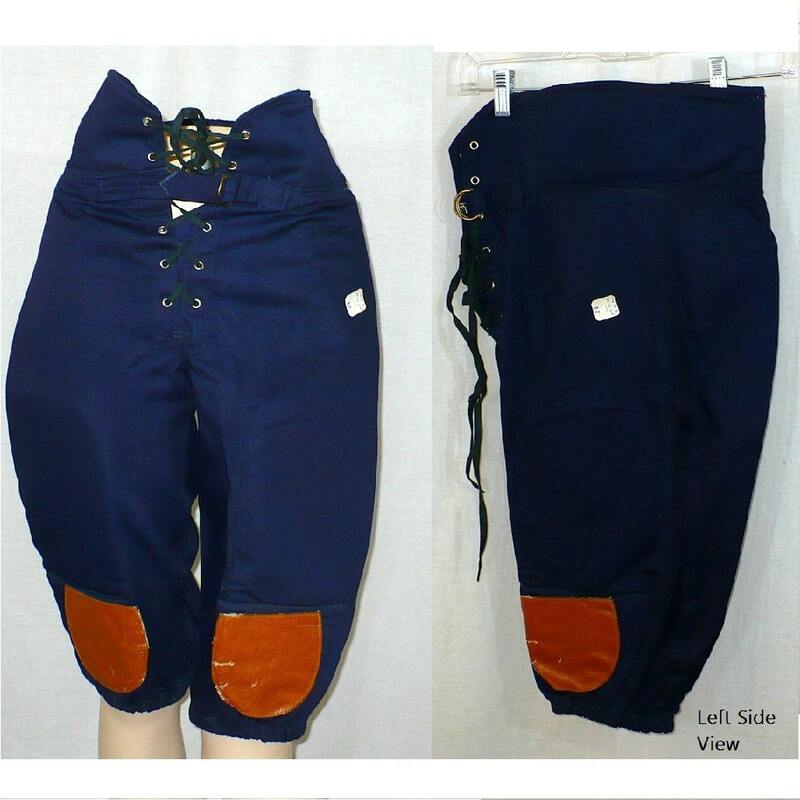 Fastens at waist with shoestring that came with the garment, strung through silver grommets. D-ring belt buckle fastens to front tabs, as shown. 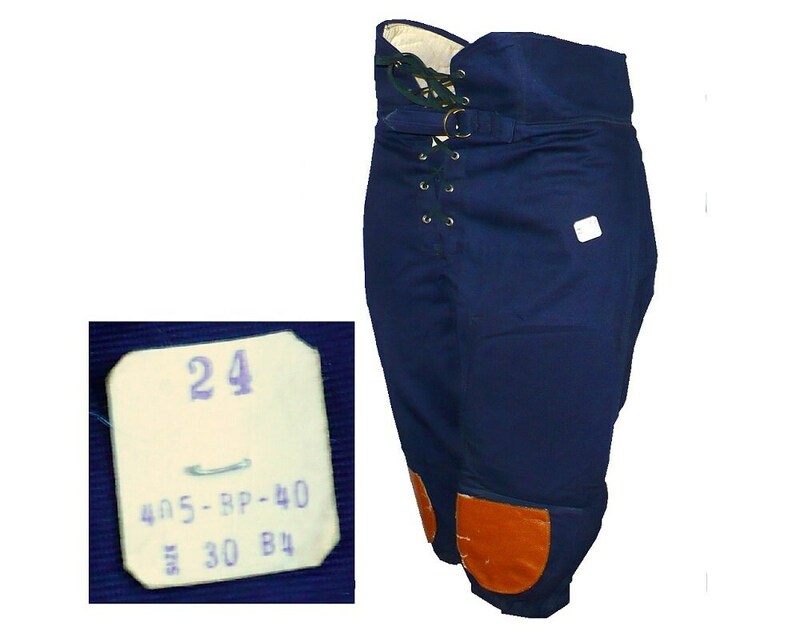 Inside is stamped "60-5537 30" and the original paper tag reads: "24, 405-BP-40, Size 30 B4"
Front Rise to waist: 10"
Front rise to very top: 13"
Rear rise to very top: 17"
Condition: New old store stock - stapled paper tag still attached, as shown. Musty odor (not strong, but it's therel). Minor nicks in vinyl patches, as shown. 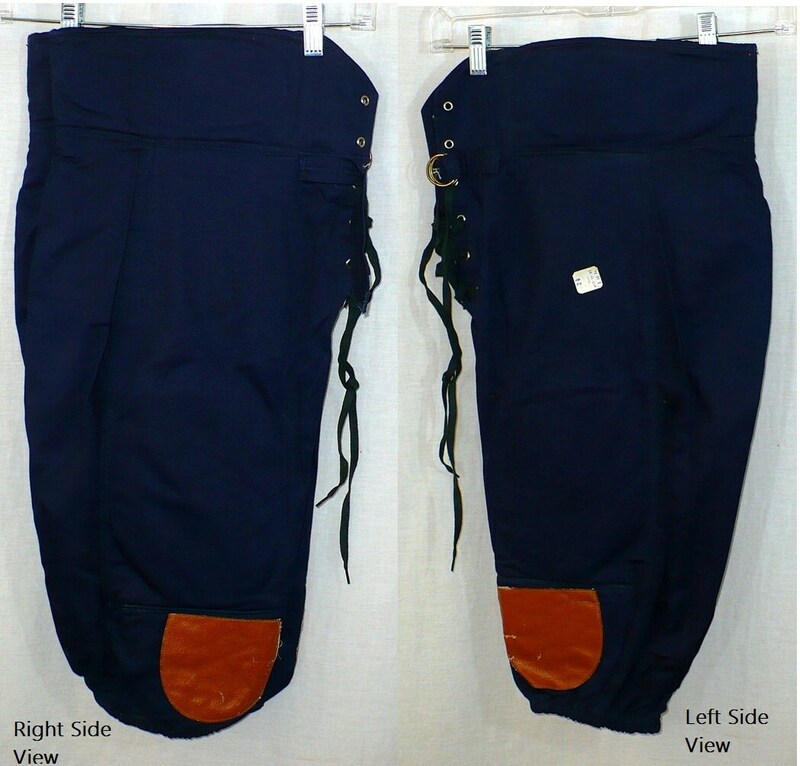 Consignment item - sale is final. Please ask all questions prior to purchase. We want you to be satisfied with your item. Thank you! See our listings for hundreds of sports trading cards and autographs.